‘Fancy Dressers’ by Zadok is one of our most recent acquisitions for the Widewalls Collection. 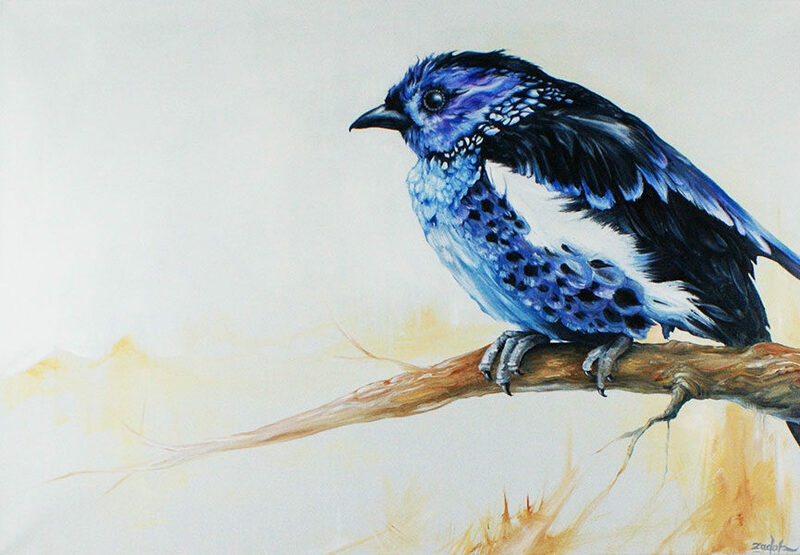 The artwork is painted with oil on canvas. This is already uncharacteristic for Zadok’s work, the imagery even more so. For most Zadok is identified with the monstrous gorge on the doorway or the alien invasion on Redchurch Street in London. Delicate bird studies however are not what you’d expect but what you marvel upon. 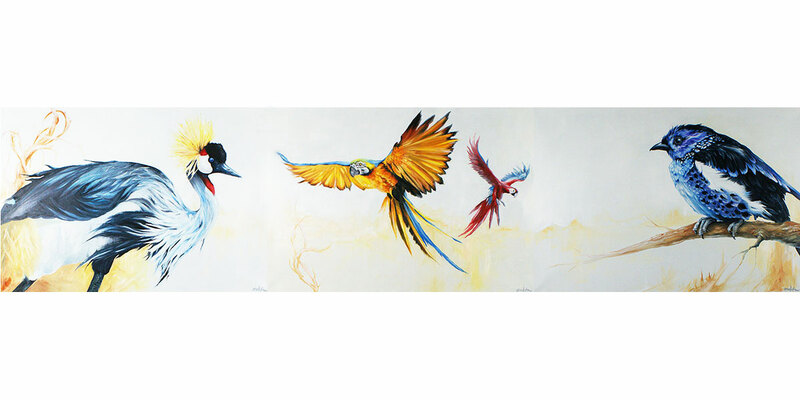 This bird study triptych features three flamboyant species of nature’s finest fancy dressers. 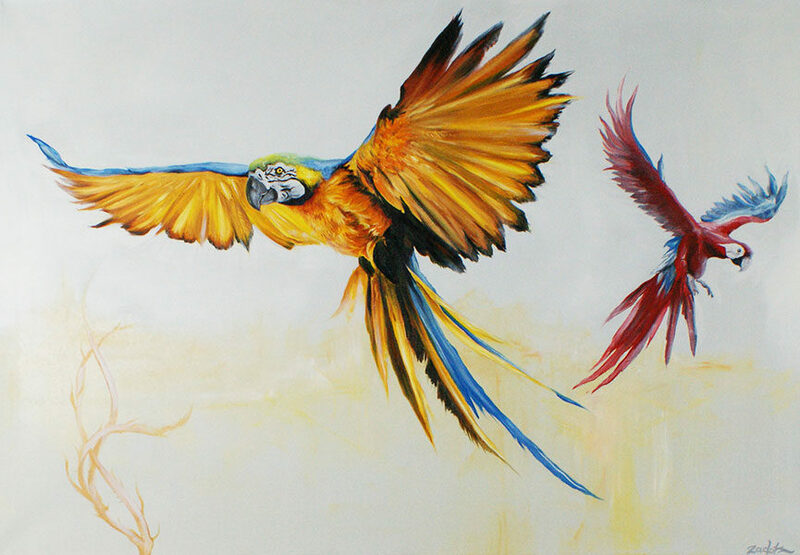 Capturing their majestic beauty, intriguing characteristics, and the vivid splendor of their multi-colored plumage. Carefully considered volumes of color complement the negative spaces of the white background, blending into a blurred horizon line that links the paintings together. 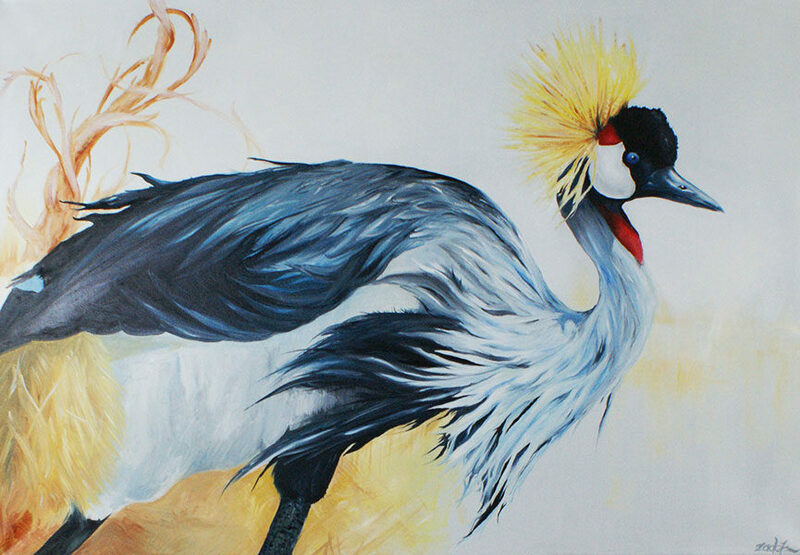 The bird on the left is a Crowned Crane, the birds in the middle are Macaws and the blue bird on the right is named Tanagra. 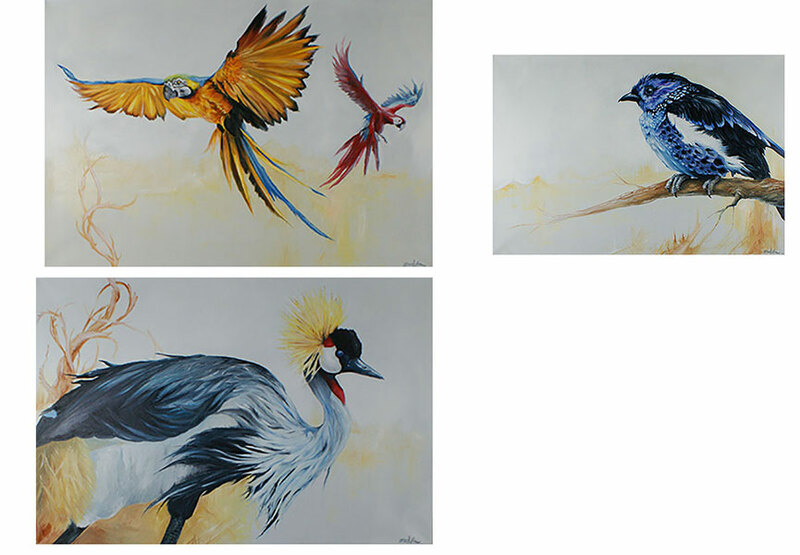 Each painting is 120 cm x 90 cm.